High blood pressure is public enemy number 2 these days, according to a report released on September 4th using data from the National Health and Nutrition Examination Survey. A staggering 67 million Americans suffer from hypertension and yet, despite simple management strategies, around 36 million have failed to address the issue. High blood pressure is defined as a BP equal to or greater than 140/90 mmHg. If either the systolic or diastolic number is in the unhealthy range, BP is considered “high”. Blood pressure is relatively easy to check and control – and the risks of leaving it unaddressed are high. Those with high BP are more likely to suffer from heart attack and stroke, and it is often a hereditary condition – meaning it shouldn’t come as a surprise to those with a family history of the disease. For Americans looking to manage their blood pressure without medication, health experts recommend regular physical activity, a balanced (typically low-sodium) diet, and healthy weight maintenance. On a personal level, these criteria can often be achieved through the support of friends, family, or health counseling. On a broader level, government oversight to encourage reduced sodium in processed foods could help keep the national hypertension epidemic under control and save millions of lives each year. 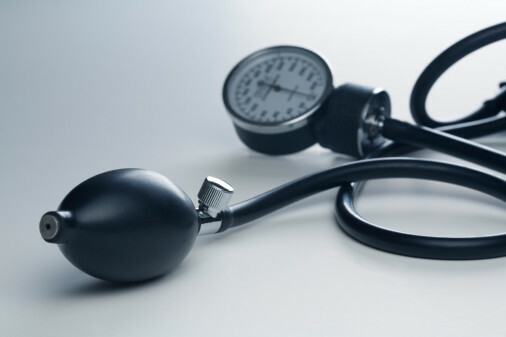 It’s also important for individuals to recognize personal triggers for blood pressure spikes. For many, caffeine, dehydration, and work-related stresses are responsible for brief surges in blood pressure throughout the course of a day. The report shows that hypertension contributes to nearly 1,000 deaths per day and about $131 billion in direct health care costs annually. Offering stress management programs in the workplace or providing health education on the topic is an easy first step for employers to improve worker health and manage costs.